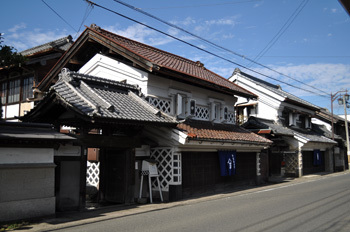 Murata"- Little Kyoto" SUBPAGE | All Japan Kyoto Association"
In olden times, Murata flourished as an important merchant town on the old highway connecting Yamagata and Sendai in northern Japan. Still today, a number of historical remains such as massive merchant houses and gates welcome visitors. Yamagata is the most famous production area of safflower; however, the southern region of Miyagi Prefecture also has produced beautiful safflowers since the Edo period. Carefully grown safflowers were collected by the merchants in Murata and were transported to Kansai (western Japan) and Edo (Tokyo). Gorgeous houses established by many merchants who made their fortune from the safflower business in those days will impress visitors. 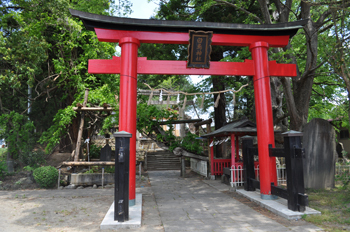 Another local highlight is a group of massive trees in Shiratori Shrine and Ryuto-in Temple. 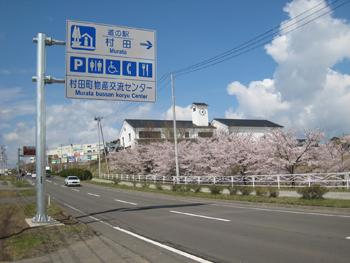 Visit Murata, a town of seasonal beauty and a historical townscape. 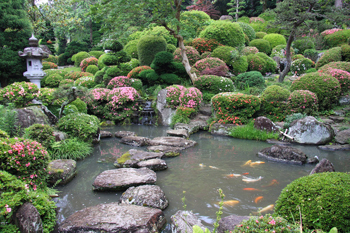 The stroll style garden with a large pond and a three-story high water fall is outstanding. Azaleas and rhododendron blossoms are beautiful in spring. 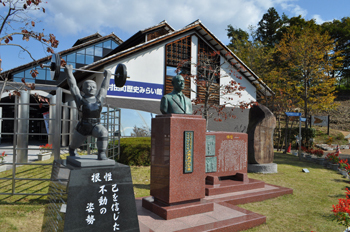 A museum introducing the history and culture of Murata. A variety of exhibitions will be held. The site of a group of massive trees, said to be approx. 1000 years old. 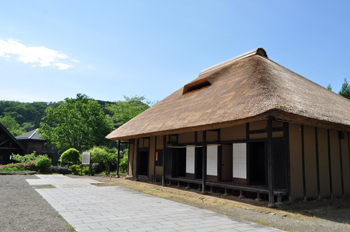 There is a farmer’s market in the facility where visitors can enjoy fresh soba buckwheat noodles using buckwheat harvested on the local farms. 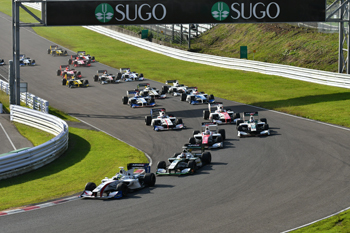 A variety of racecourses, including an international course, for car and motorbike races. A fun local farmer’s market full of fresh vegetables, fruits, and local specialties of Murata. Tasty broad bean dishes are served in the restaurant. Munetaka Date (the 7th son of Masamune Date) was a samurai who is still remembered as a ruler of virtue today. 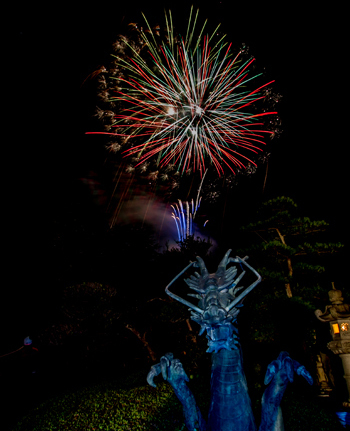 A firework festival is held on August 17th, the day he passed away. 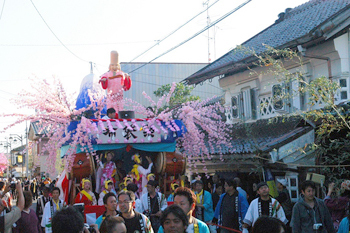 Gorgeous floats carrying a puppet figure of Hotei, one of the Seven Deities of Good Fortune, is paraded around the town with traditional festive music played by whistles. 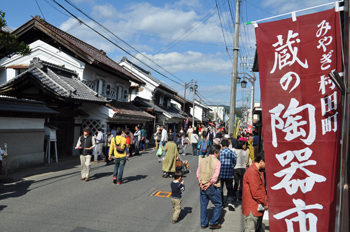 About 80 potters from around Miyagi and neighboring regions gather to display and sell their works in the historical storage houses of the merchants’ residences. 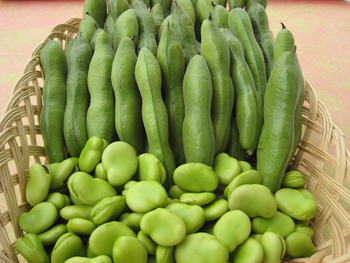 Murata is one of the main producers in Japan of broad bean (Sora-mame). 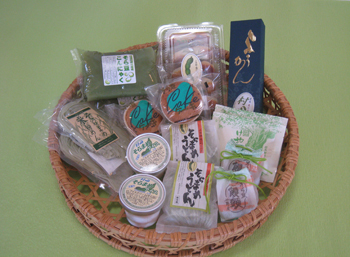 June is the season of broad bean and when the Sora-mame Festival is held. Freshly harvested broad beans are available at the Michi-no-Eki Murata farmer’s market. Broad bean is one of the main specialties of Murata and there are many kinds of items using broad beans such as broad bean rice noodles, broad bean udon noodles, broad bean flavor ice cream, and many others. 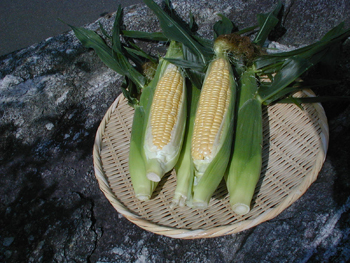 “Mirai” is an extremely sweet corn which is also called “Fruit Corn.” It can be eaten even freshly picked. August is the best month to enjoy Mirai at its best.